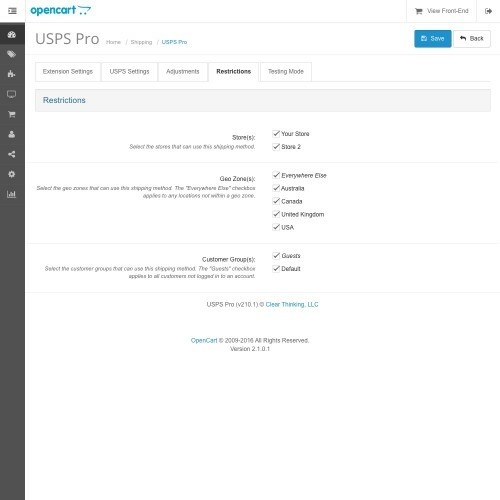 Want more control over your USPS rates? 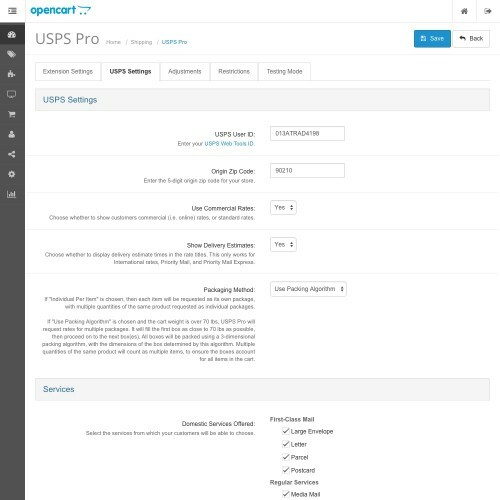 USPS Pro allows you to retrieve rates for packages over 70 pounds, for multiple packages, for Flat Rate Boxes, and more. You can also make various adjustments to the weight, dimension, and cost calculations, enabling you to charge more accurate rates for your store. 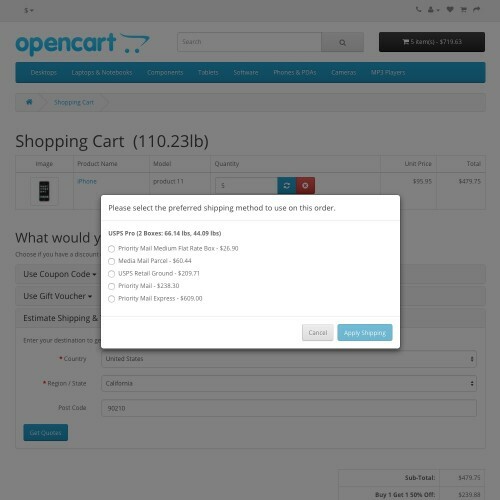 Request USPS rates for multiple packages if the cart weight is over the 70 lb USPS limit. Choose to package each item (including multiple quantities) individually, or by using a 3D packing algorithm. Optionally use a set box size for the 3D packing algorithm, rather than have the algorithm determine the appropriate box size itself. 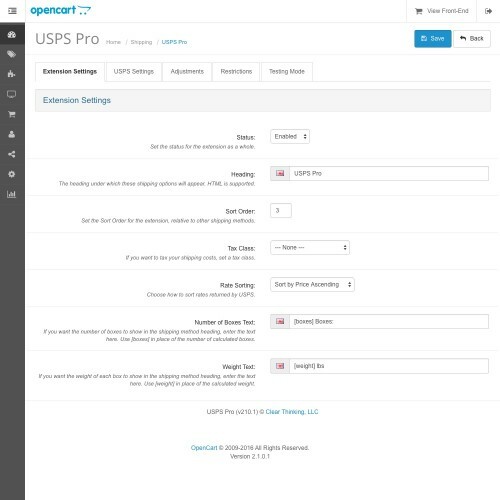 Adjust the item dimensions, item weight, and/or box weight before the USPS request is made, as well as the final rates after the USPS rates are returned. 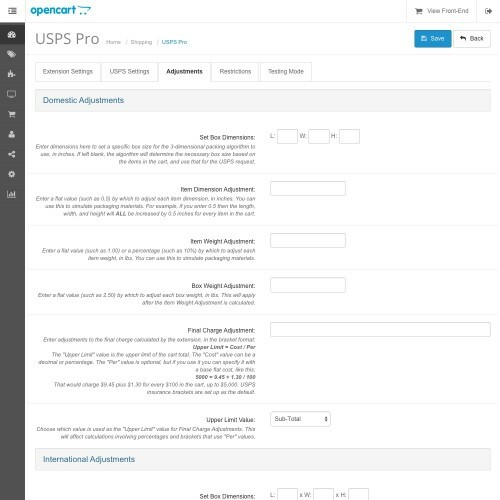 USPS insurance prices are included as rate adjustments by default. 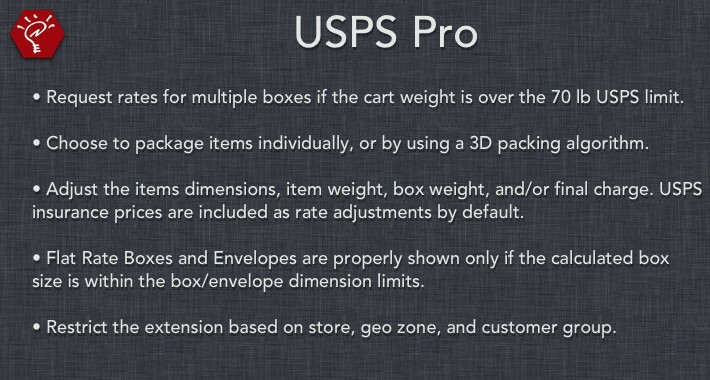 Flat Rate Boxes and Envelopes are properly shown only if the calculated box size is within the dimension limits. Restrict when the extension is available based on store, geo zone, and customer group. 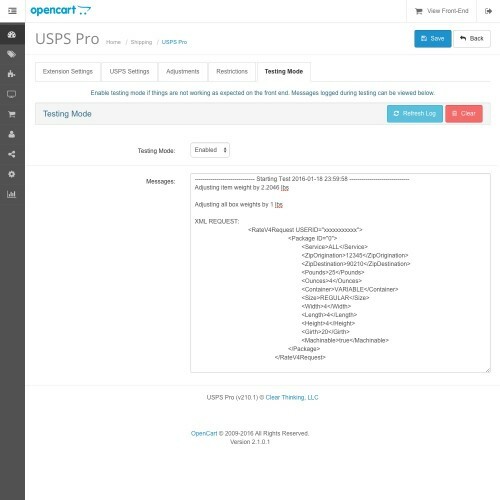 Use the included Testing Mode when encountering issues, to help determine why things are not working on the front-end as expected.